These past two days I’ve been at a summit on race and equity. Specifically, A Call to Government and Community. The conference goes across spheres and participants represent housing, justice, immigration, education, the arts, and health. It has been full of stories and ideas –ideas that I agree with and ideas that I don’t agree with. Overall, I feel privileged to be a part of this conversation. Taking ownership for my part in racism is not easy. There are times when I think “Well, I didn’t do that” or “I don’t think that.” But, as difficult as it may be for me to admit it, I am part of a bigger picture that benefits white people. When white people don’t recognize how our position of cultural dominance influences us – when we don’t know that we’re being white – we can be like bulls in a china shop, throwing everything in our wake askew without even realizing what we’ve done. For us, this understanding begins with learning a perspective of cultural humility and seeking to understand another’s experience without judgment. May more of us boldly begin to walk on this long and winding path. Part of what the last two days have been then, is a soul-searching on what this means to me personally and professionally. 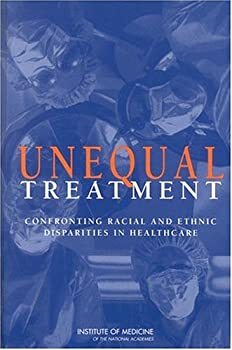 In 2002 the Institute of Medicine released a report called Unequal Treatment: Confronting Racial and Ethnic Disparities in Health Care. It is a thorough report that shows many factors contributing to these disparities, some of which are stereotypes, unconscious bias, and lack of cultural competency. The report gave a number of recommendations and also demonstrated that we have a long way to go to provide equal treatment for the minority populations in the United States. And that brings me to Tuskegee. So today, as the conversation on race and justice is at the forefront of my mind, I borrow from the last sentence of Eula’s book. I apologize for the unequal treatment that is a present part of our health system. I apologize for Tuskegee. Because no – it wasn’t me — but it might have been my cousin. With our daughter Stef home from college accompanied by a friend, our house has been full of activity this week. The walls are bursting and the dishwasher is forever running. Accompanying this was our first summer-like day of the year. With temps in the low eighties on Thursday and now in the seventies, it feels like all things are possible. And I’m so looking forward to summer – longer days and warmer nights; where Sangria meets porches in twilight and life takes on new hope. On to wrapping up the week. “If my generation cares so deeply about global issues of justice and poverty that they are willing to change eating, clothing, and living habits, where are they? A significant challenge for nonprofits and ministries remains recruiting people who will commit to serve long-term outside the United States. On Grandmas and Food around the World: This article will make you smile – take a look at 34 Grandmas around the world and what they cook their families! It’s a fun look at food and culture! On my bedside stand: Travels with a Tangerine – From Morocco to Turkey in the Footsteps of Islam’s Greatest Traveler by Tim Mackintosh-Smith is part travelogue and part history as the author traces the journey of Ibn Battutah, a 13th century Arab traveler. It promises to be a fun and informative look at travel throughout the Middle East as well as a great way for this non scholar reader (me) to learn more of the history of the region. Along with this book I’ve begun a small volume by Saint Athanasius called On the Incarnation. It is excellent in its wisdom and explanation of the mystery of God in the Flesh. 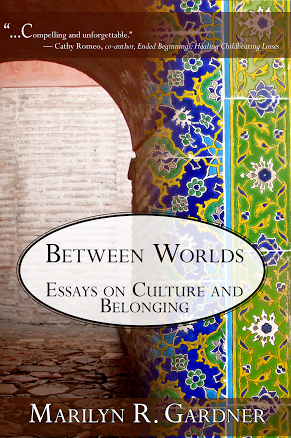 So that’s it – have a great weekend and thank you for continuing to read Communicating Across Boundaries, offering your perceptive comments and views! 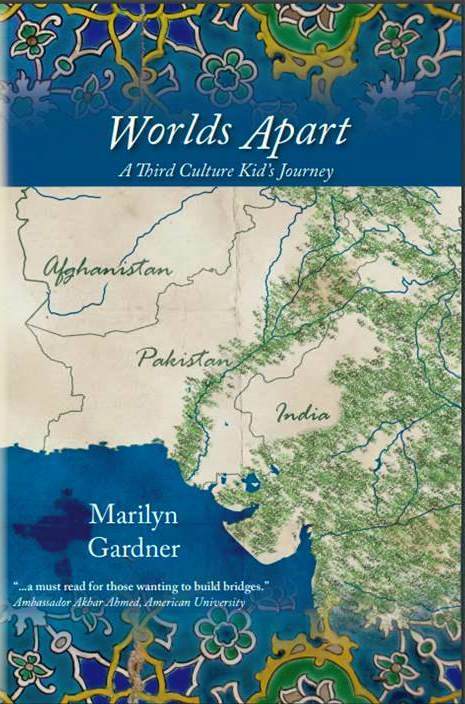 Pakistan is an amazing and complex country and a country of extremes. It boasts some of the highest and most beautiful mountain ranges; invites one in to incredible and gracious hospitality; arguably has the best food in the world and, with all that, has some tremendously difficult situations for women. So it was early on in life that I met women with tremendous disadvantages, many in situations that seemed hopeless. It was before I turned 20, while volunteering at a women’s and children’s hospital in Shikarpur, Sindh, that I first met a woman who had a fistula. By definition a fistula is “a medical condition brought about by obstructed labor and/or trauma leaving a woman with incontinence,” The resulting symptoms are that the woman constantly smells like urine and can never get clean. But that is just the medical definition. The practical definition is loss of family, isolation, being seen as a pariah, and relegated to a cursed position in areas of the world where being a woman brings challenges from the first days of life. Fistulas are indescribably awful for the woman who has one. According to the World Health Organization, an estimated 2-5 million women have fistula worldwide. The treatment is a surgery that has a 90% success rate if there are no complications and with complications the rate is still fairly high at 60%. It is not an exaggeration to say that the treatment saves lives. In a world where these women have been cast out like garbage, alienated and isolated, this surgery brings a hope that radiates through their world, forever changing their future. So why on a Saturday am I bringing up this serious topic? Because today at 1pm eastern time my niece, Christi-Lynn, a nurse and woman who is passionate about women’s health worldwide, is holding a special tea to raise money so that one woman can receive this surgery. The cost of surgery is $450.00. That’s the equivalent of 2 months worth of cell phone service for a family of five. It’s nothing. A tiny dent in a budget – and it changes a life. I have only raised awareness for causes a couple of times, but I believe that those who read Communicating Across Boundaries have a unique love for the world, and for women. So even though you can’t attend – if you can give to the tea party “An Afternoon of Hope” to raise money and awareness of the problem of fistula’s for women around the world, please contact me at communicatingblog@gmail.com. Blogger’s Note: The organization that my niece is working with is called Hope For Our Sisters: Changing the Lives of Women One Woman at a Time. Much of the information on this post was gleaned from their excellent site. Follow the link for more information including articles as well as information on how you can host a tea. One of my good friends, Judy Long, uses her talent as a photographer to create cards to sell with all proceeds going towards Hope for Our Sisters.